Moving can be stressful enough as it is without having to worry about items being broken or damaged during shipment and storage. In addition to looking for a dependable self-storage unit in Palo Alto, there are other steps that you can take to safely package your goods to ensure their protection. It’s easy to make a mistake in packaging that can make moving even more difficult, so keep these tips in mind to avoid problems during the process of moving. A well packed box will be easy to move from one location to another. For this reason, it is important to remember to keep boxes as light as possible. To avoid any struggles with heavy boxes, make sure to pack heavy items into smaller boxes while lighter items are packed into bigger boxes. If you do have to pack hefty valuables with delicate items, make sure to put your weighty items in the box first to avoid damage and use boxes efficiently. 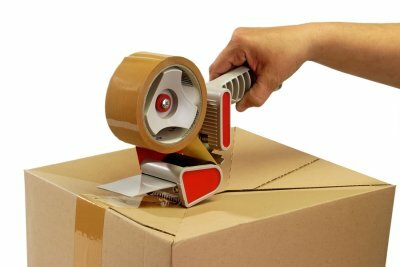 When you’re finished packing a box, it can be tempting to just put a few pieces of tape on the top and bottom and call it a day. However, depending on how heavy the box is, you will probably want to wrap both the bottom and top edges of the box in tape to ensure that the package is secure. This strategy can come in especially handy if you plan on storing any of your valuables at a storage facility, as it will protect them from potential water damage. While packing, it is a good idea to keep items intended for one specific room in the same box. Taking this approach allows you to label the boxes with not only the items inside, but also the room in which they will most likely be placed. Should you need to use a ground level storage unit, informative labelling will help you to keep track of everything you need to do in the moving process. Although many people would like to have space for everything they own, sometimes it just isn’t feasible. 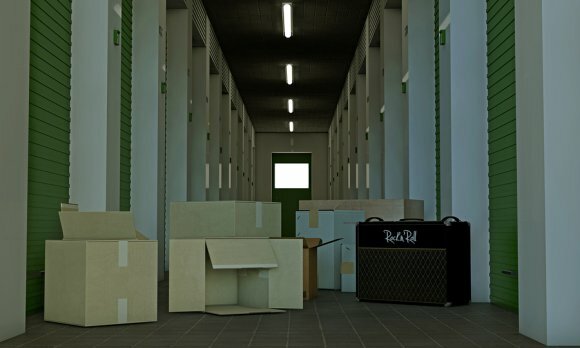 In these cases, it could be time to consider a high-quality storage unit . However, before you go looking for self-storage facilities near Palo Alto, you might want to consider whether self-storage meets your needs. A storage unit isn’t the perfect answer for everybody, but it can be extremely useful in the right circumstances. If you have a lot of valuables that you intend to make use of in the future, but which are currently just taking up space in your home, using a storage facility to keep them safe is probably a good idea. On the other hand, if you have a lot of items that you’ll probably never use again, storing them probably won’t be convenient. Depending on the facility you choose, a storage unit may be convenient for storing items that you access on a weekly or monthly basis, or that you access even less often. If you need to access your belongings daily or many times per week, visiting a storage unit may add too much time to your usual routine. Wooden furniture is treasured for its rustic style and reliability, but it is also susceptible to damage from water and other environmental factors. In addition to looking for a reliable storage facility in Palo Alto, there are other steps that you can take to ensure the longevity of your wooden items. When it comes to the storage of these pieces, it is a good idea to make sure that your furniture is prepared for any possible concerns. 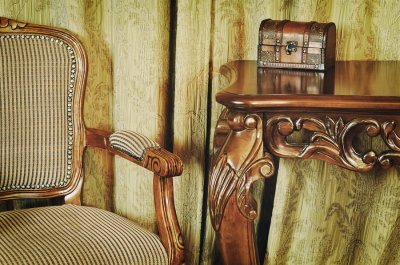 With that in mind, here are three methods for protecting your wooden furniture. If water should somehow make its way into your storage unit, it may come through the door. Because of this, it is recommended to keep your wooden items away from the door and disassemble them whenever possible. You might not think it’s important to disassemble something like a wooden bed frame, but the furniture is large enough that it might otherwise be difficult to fit in a self-storage unit. Taking the item apart will allow you to save space and protect it from water damage. Whether you’re in a dry climate or you foresee long stretches of hot and dry weather, prepare for the possibility that your wood could dry out and lose its luster. Avoid this problem by cleaning your furniture before storing it and using wax to keep the moisture in. A lot of storage facilities are not climate controlled, so you should always take steps to protect your belongings from the effects of temperature fluctuations. For an extra layer of protection against environmental damage, you can use plastic to wrap up your wooden furniture. Plastic wrap will keep water from damaging wood and it will keep heat from depleting moisture. If your storage unit is not climate controlled, you may want to use twice as much plastic to cover your valuables. Whatever the storage situation may be, wrapping your wooden items in plastic is an excellent way to protect them from the weather. If you’re putting fine china in a storage unit , you need to take extra care to make sure these fragile belongings come out in one piece. For starters, layer a compact box with packing peanuts. Wrap each piece of china individually using bubble wrap and place inside the box. Fill extra space between china with packing peanuts or crumpled newspaper. Finally, seal the box, mark as “fragile,” and use arrows to indicate which side is up. Watch this short video for more tips on packing fine china and other fragile items. With these packing and moving tips, you’ll have no problem moving into your self-storage unit in Palo Alto. You can also find boxes, packing peanuts, packing tape, and everything else you need to pack up your belongings at a storage facility in Mountain View.